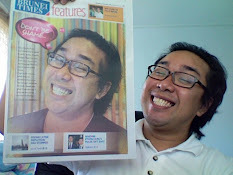 Hehehe.... Lucky! On the way back to Miri luckily there is a nice looking flight attendant onboard so no so boring lo! I think she not so bad looking lo but at least better then the RBA one macam I otong her duit faces one KANASAI muka one right! I going to miss the Kuching's Hawker Stall food one day! 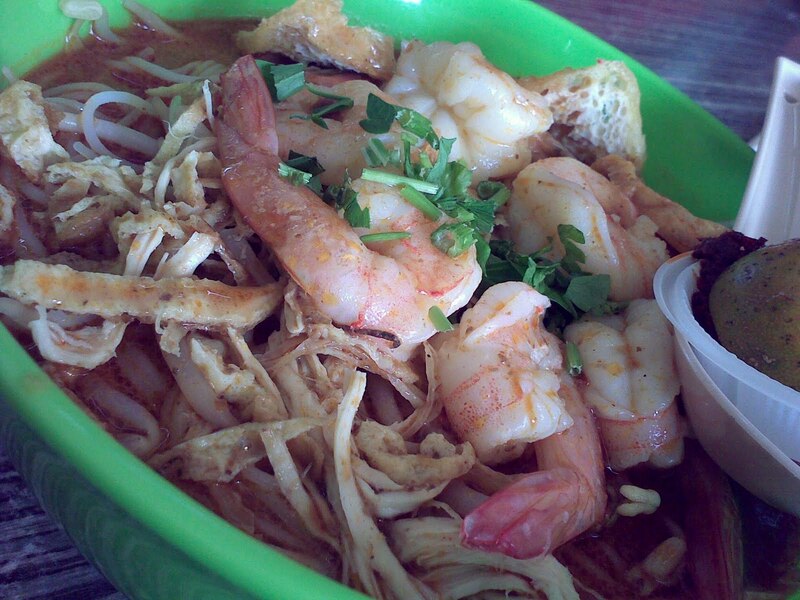 Especially the Laksa there! 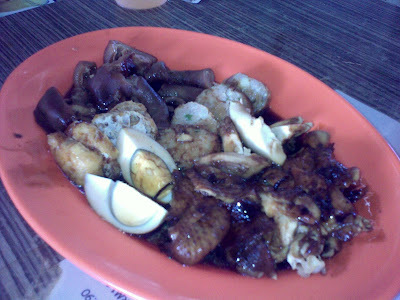 Maybe one day I plan to go there again with some friends la! 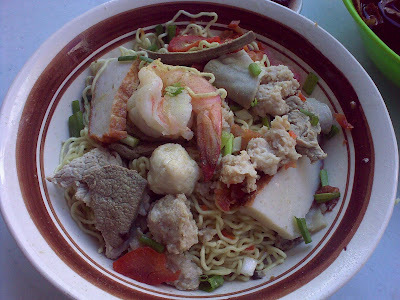 This is the Kolo Mee I had ate on the last day morning at Kuching! Just about 2 block away behind the hotel! This is our lunch we had after we go see see look look the Kuching. eg the Convention Hall and some other Event Hall! 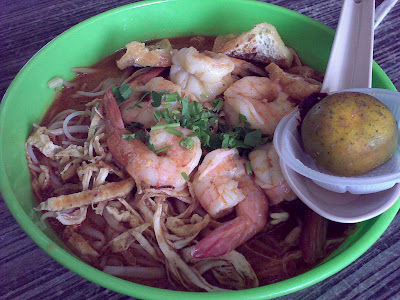 Before we catch our flight, Once again eat the Kuching Laksa again! This one also nice but more spicy la! 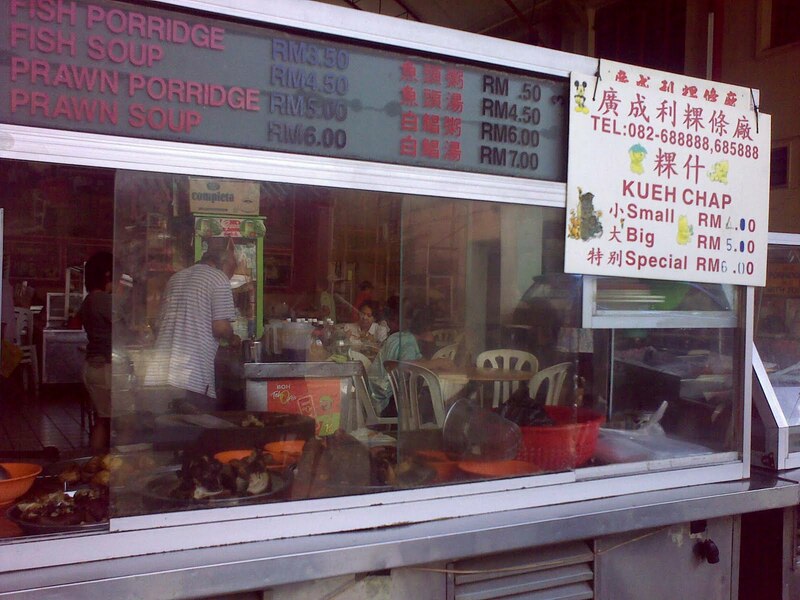 Kuching say big not so big, say small and not so small too. But once the night had fall you also don't know where want to go! 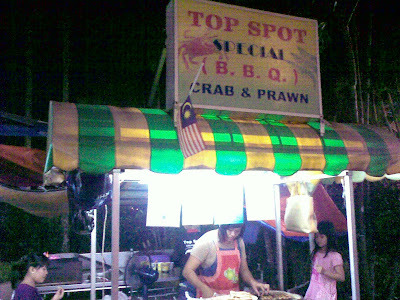 In Kuching must have a car there just like in Brunei! If you want to find some night life is not easy unless you had a friend there and bring you around la. 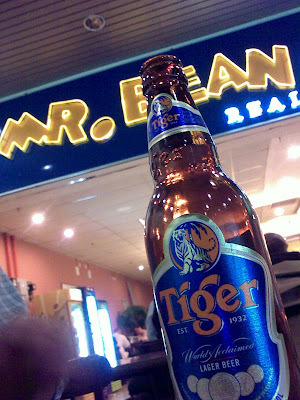 I meet a new friend at Kuching there, He told me in Kuching not much have night life there. 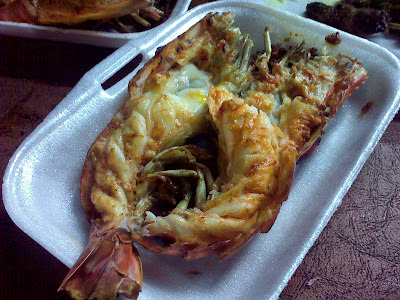 Is not like Miri, Labuan or KK that side are much more better! So how??? no night life there! Me and Paul hang around at his coffee shop there for 2 nights there. His coffee shop is just behind the Tune Hotel. 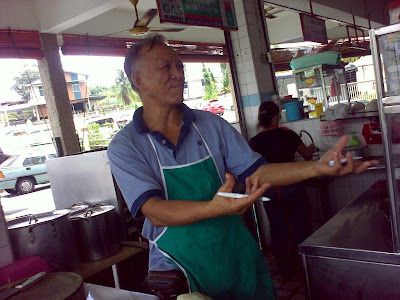 He told us about some Kuching story and how his father came here from China! He is a very nice guy! 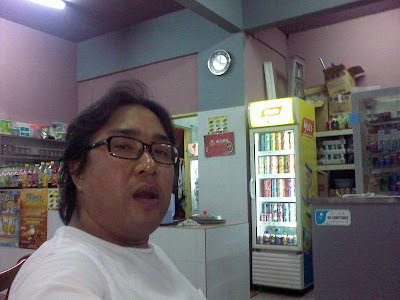 Next time if you people stay at Tune Hotel please don't forget to visit him and send my regard to him too! 1st night me and Paul drink 6 bottle of beers and the 2nd night finish 15 bottles. 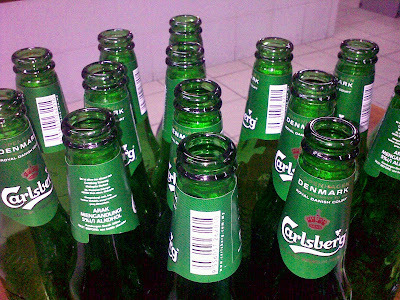 One bottle of Carlsberg cost RM4.50 but 5 bottles cost RM20.00 remember got discount some more! 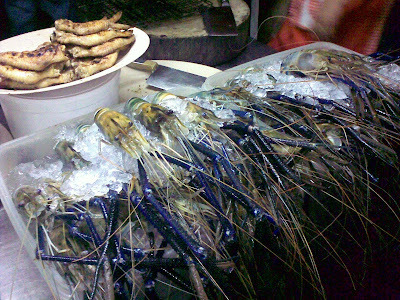 Went to the Kuching China Town go look look and see see there! 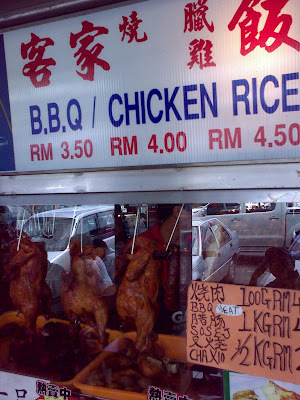 Try our luck see got nice food to hunt there or not! But the God treat us not bad lah. 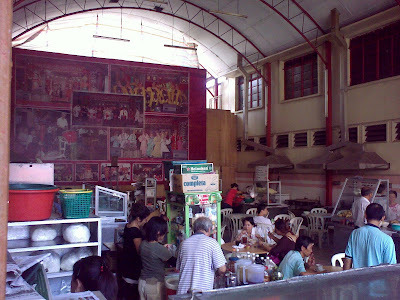 I found a Teochew Committee food court located at just in front of the Shang Di Temple. 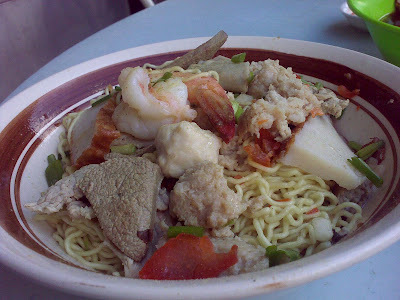 We try the Kuching Kolo Mee there and also the Kueh Chap too. 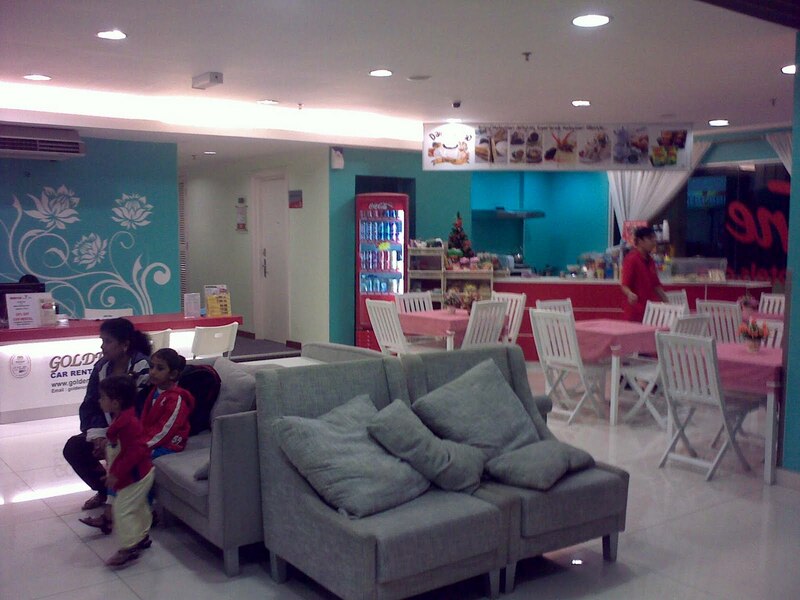 Both also good, I like the food there. 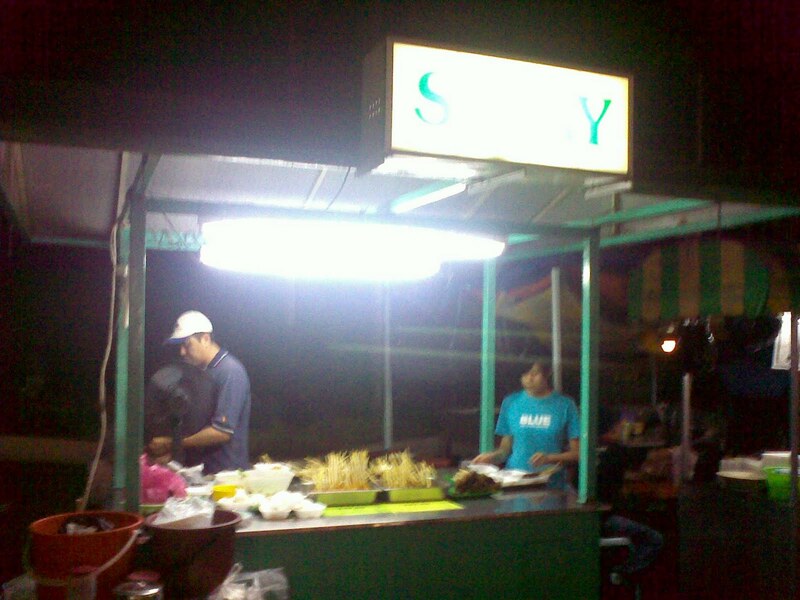 They have so many different type of food selling there. 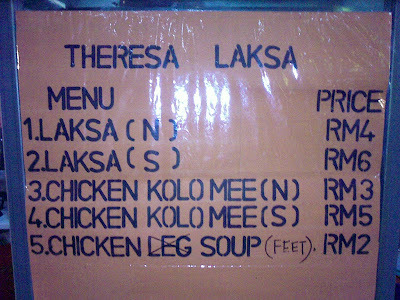 Chicken Rice, Laksa,Fried Mee or Kuih tiow! This is a nice place to visit! 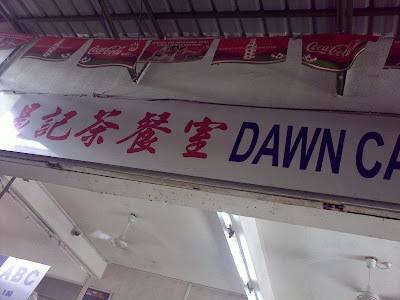 you can find alot of Chinese old skool stuff there! Like the Chinese door,flame and window! food and other house stuff la. Even the building there also look old skool! If you are a photographer sure you like the place and take a lot of picture there too! 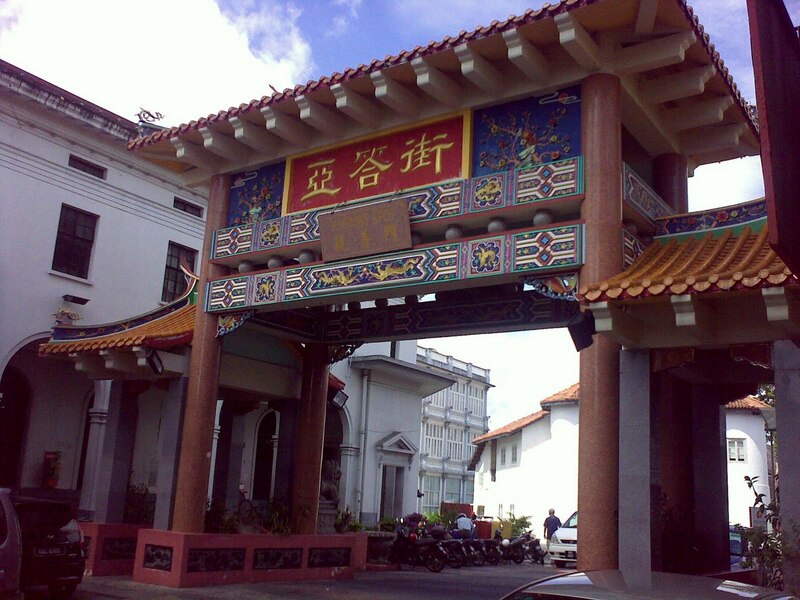 This is the main entrance of the China Town. 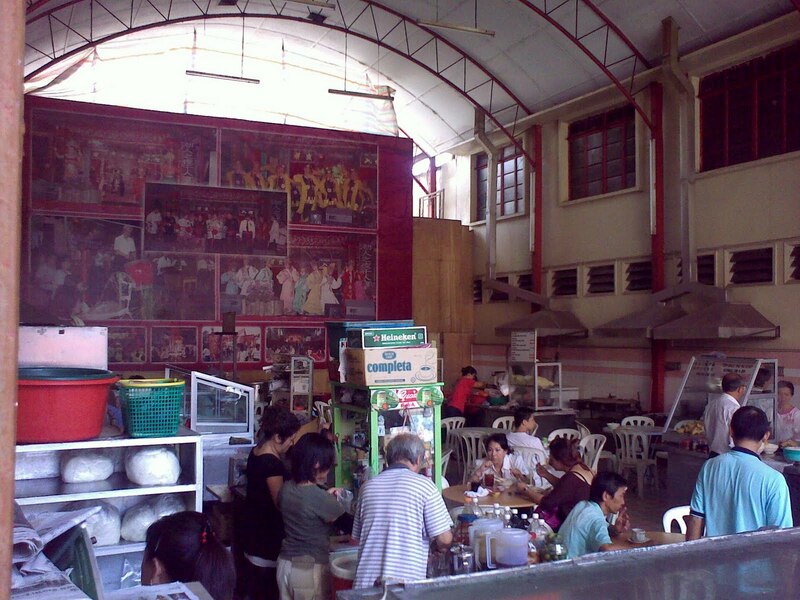 the Teochew Committee food court! 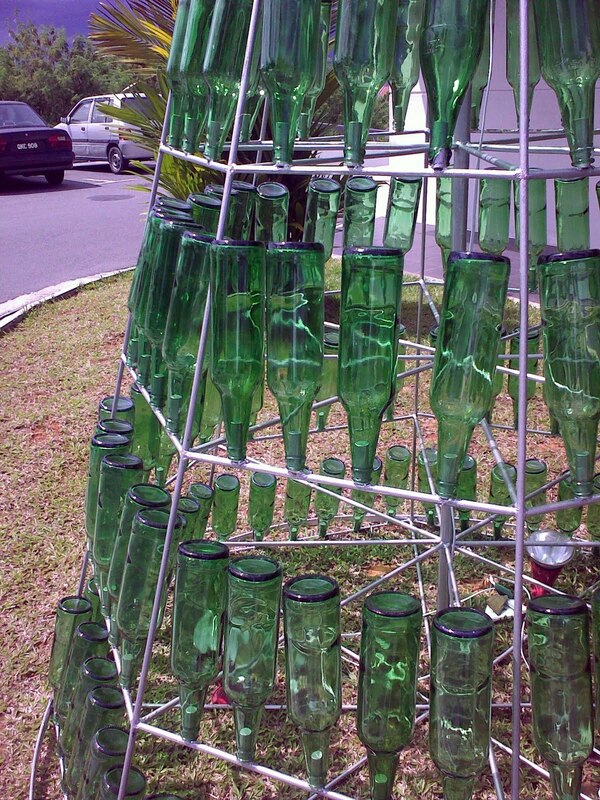 Spotted this creative design Christmas Tree at one of the shopping mall in Kuching! 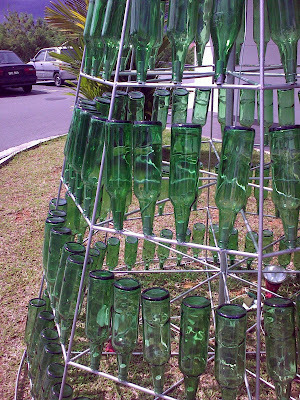 This X'mas tree are make by hundred of Heineken beer bottle! 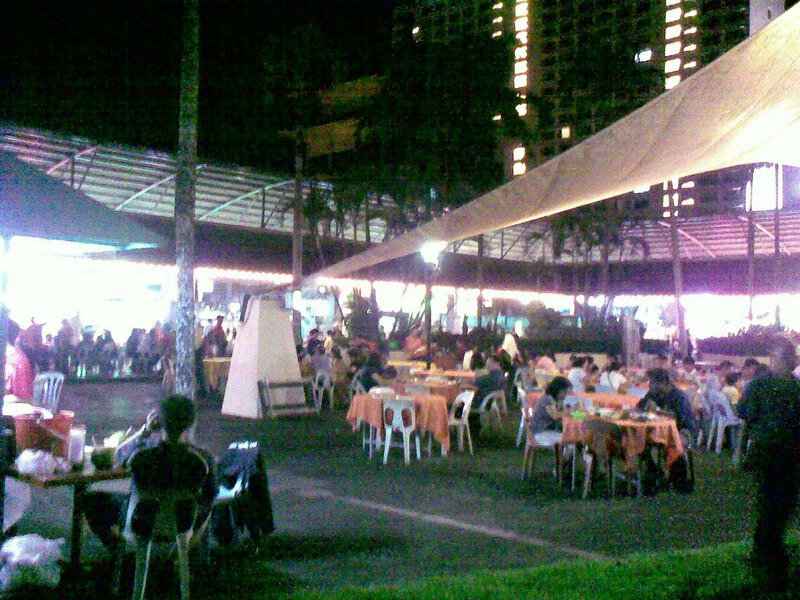 It really look nice in the night time! 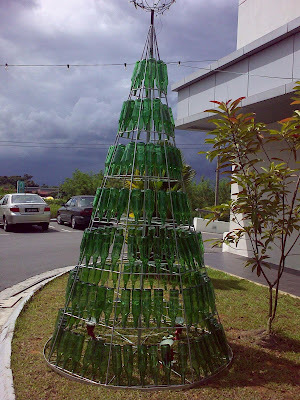 I wonder this year NBT X'mas decoration can do this or not oh???? 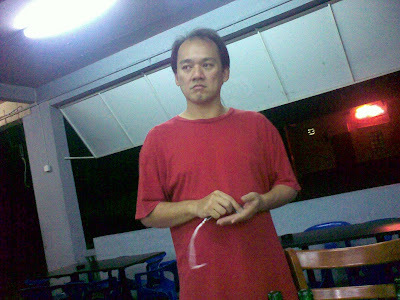 The next day we meet up a friend there from Kuching. 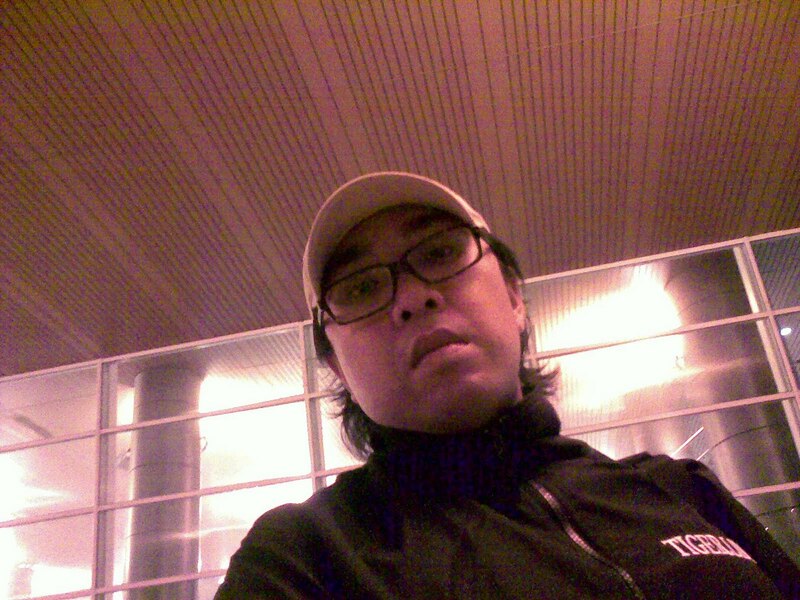 James also doing Sound and Light industry in Kuching. 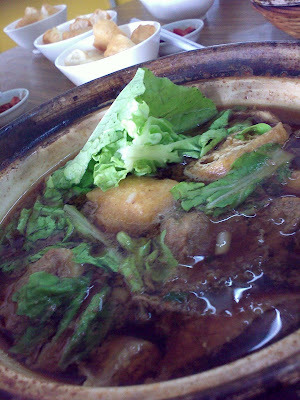 So he bring us to the Sin Chew Cafe and try the Bak Kut Teh there. Is very nice too, I think is better then the one at Batu Satu Seri Complex one. 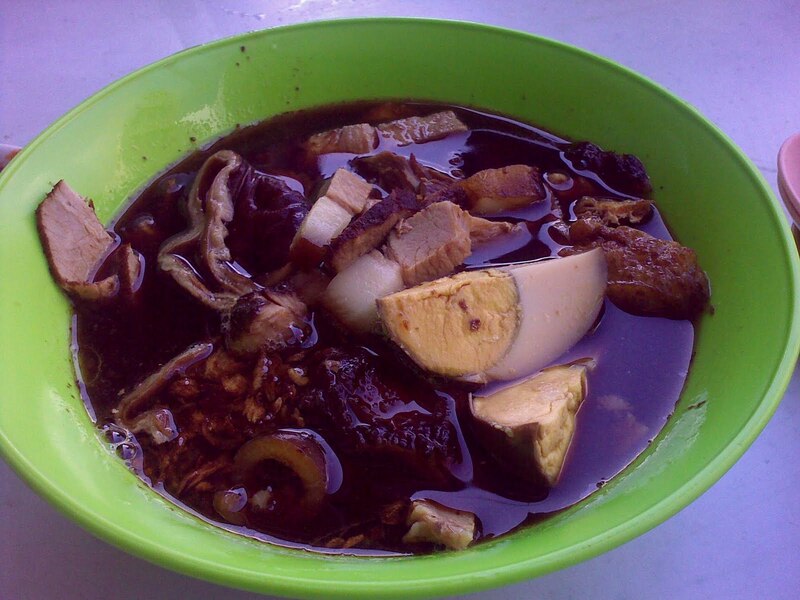 Not like Brunei Bak Kut Teh here one, Brunei BKT are too sweet liao! 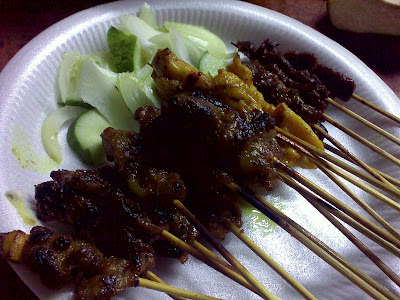 This Ah Lim one is just nice! not too sweet and not too salty. 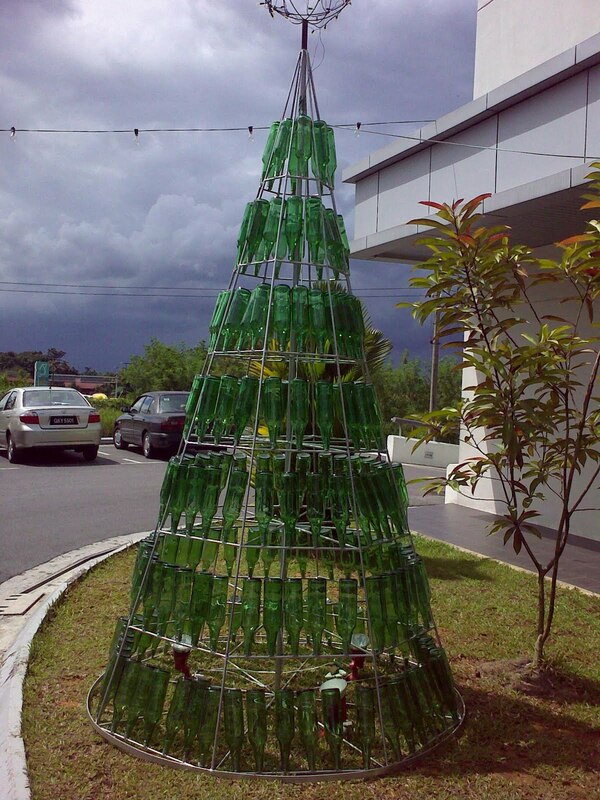 It has 3 size. Big, Medium and Small. 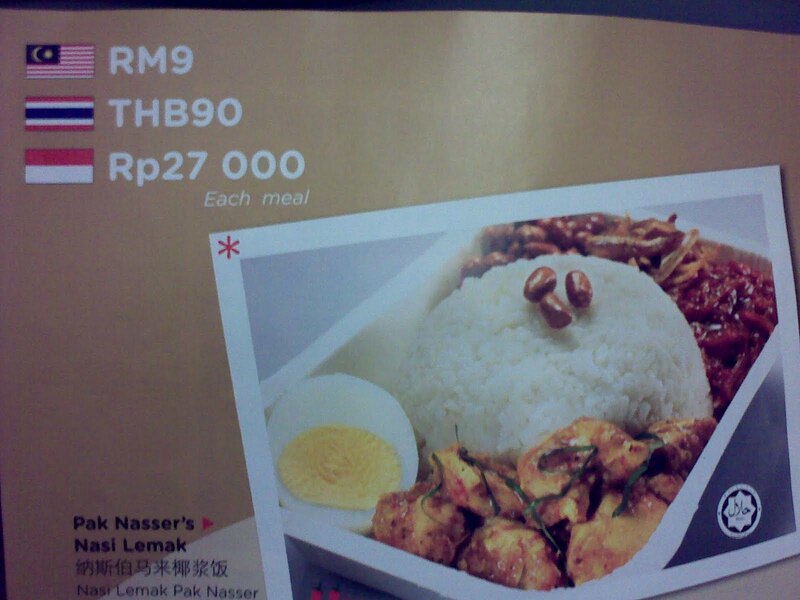 RM12.00, RM8.00 and RM 6.00! Char kuih 50 cent and rice for 70 cent! We order 3 bowl of small size one but also cannot finish! 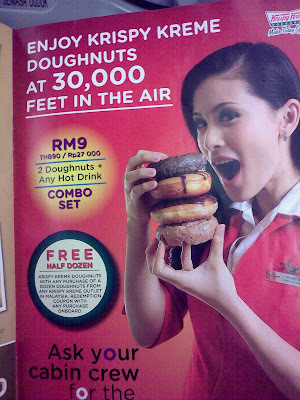 Walaupun they say small size is for one person to eat one but I think is for 2 person one la! 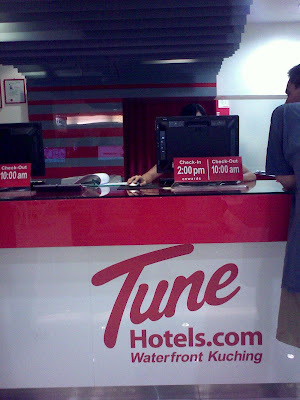 After we had check in to the Tune Hotel is almost 9pm already. 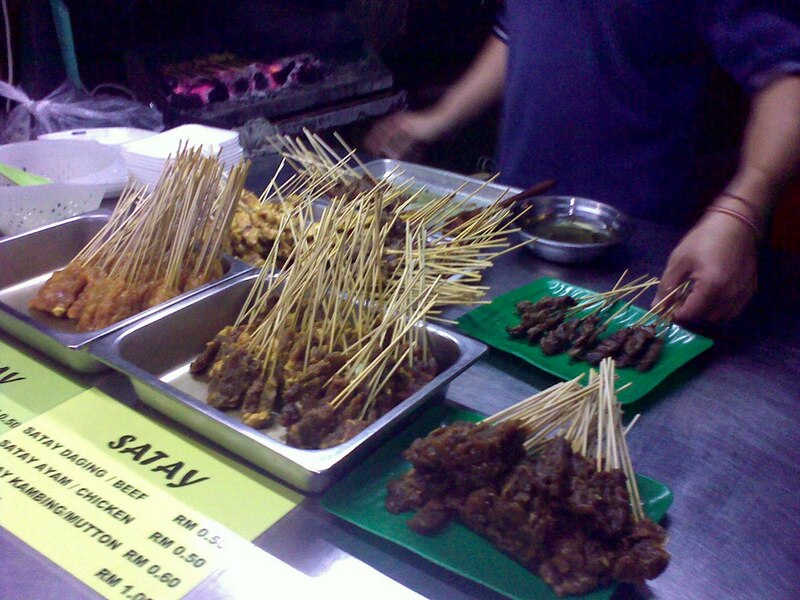 So we went out for dinner la! Just at the back of the Tune Hotel there is a food court. 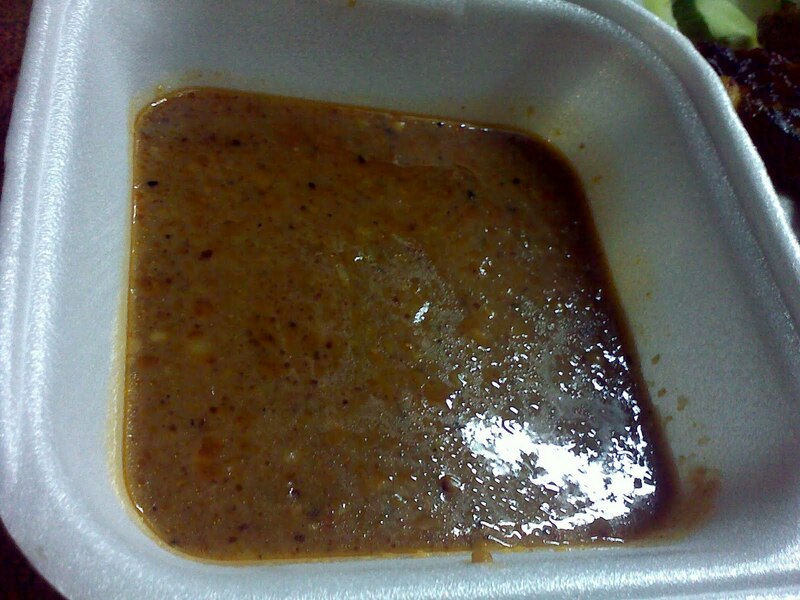 Although it just a small food count but there is a delicious Laksa selling there. 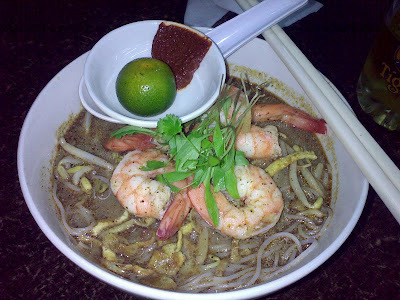 This is the one, Teresa's Laksa! Don't play play oh..... 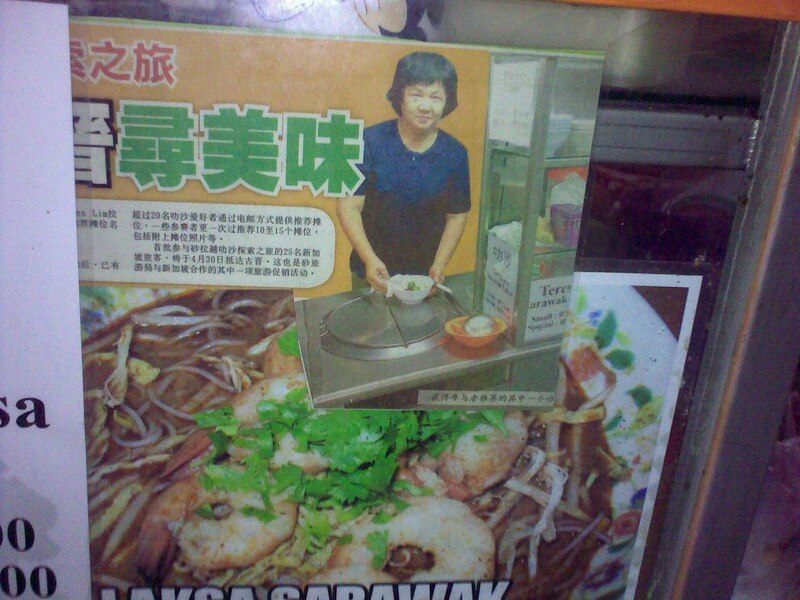 Her Laksa got come out that the news paper and some food review one !!! What is so special about her Laksa? 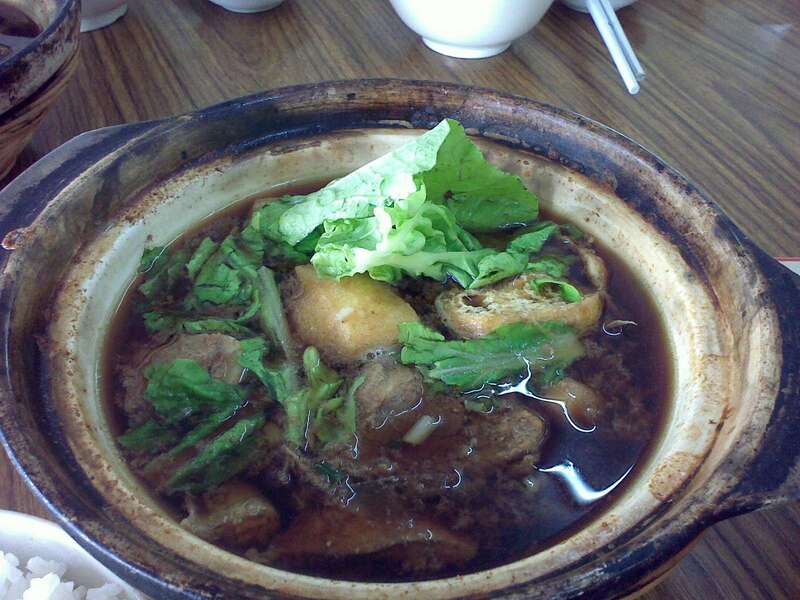 Delicious and Testy lo!! 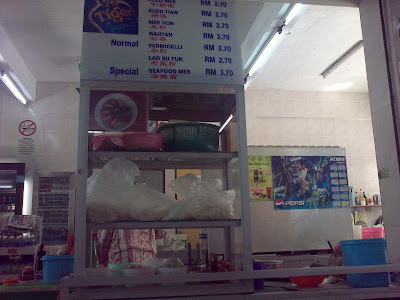 I saw some Orang Putih come here eat also! some of them even eat 2 bowl too! 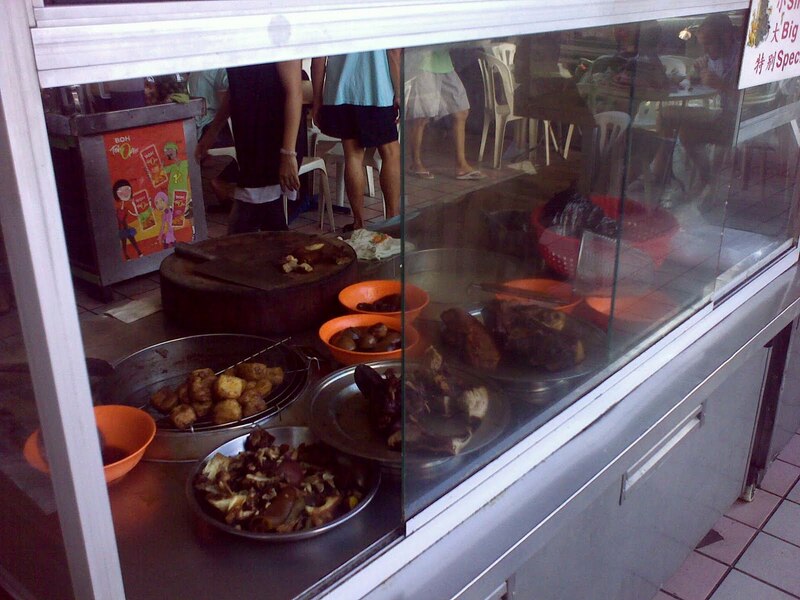 So this her stall look like la! See!!! Don't play play.... got proof one ok! Her Laksa got vote as Kuching's Top 25 Best Food! 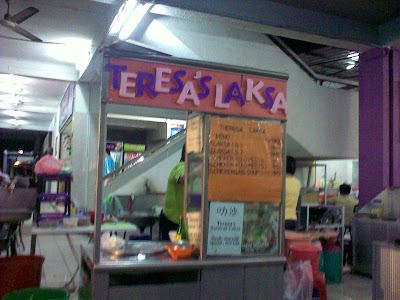 This is the Teresa Laksa looks like lah... In fact is very simple, it had the Prawns, fried egg, mee hoon, and bean sprout but I can tell you her Laksa soup is the Magic! 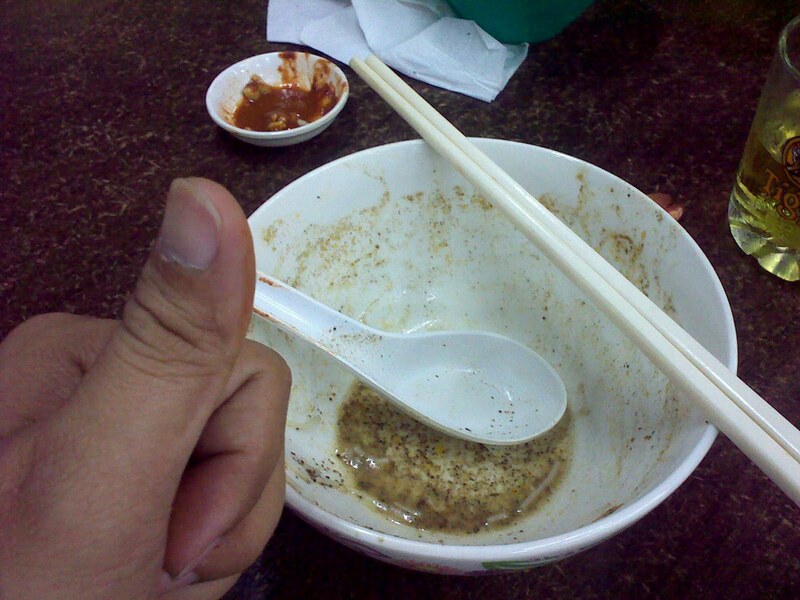 I'm sure to going to finish it until the last drop of the soup! 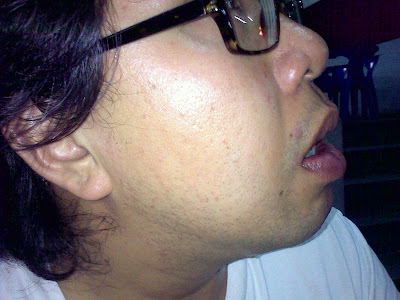 After I had finished the Laksa this is how I look. Sweat like a hog! If you guys next time got go Kuching must remember try this! Sorry folks keeping you all to wait that long. 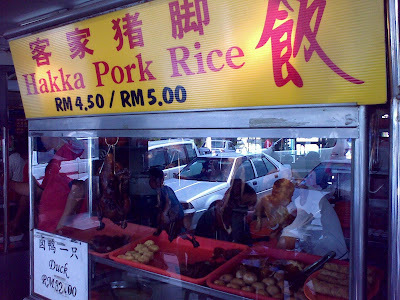 Ok la this is 1st post of my trip to Kuching. 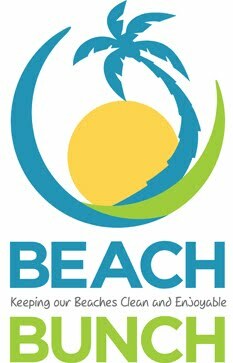 Why I'm going there? Just visit friends over there together with Paul (my Boss). 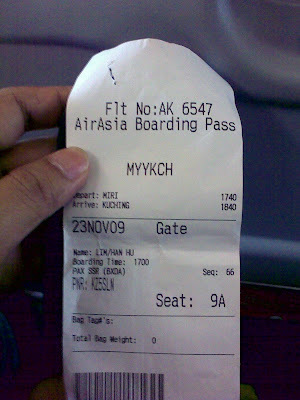 We using Airasia flight from Miri to Kuching. In fact this is also my first time fly with Asia. 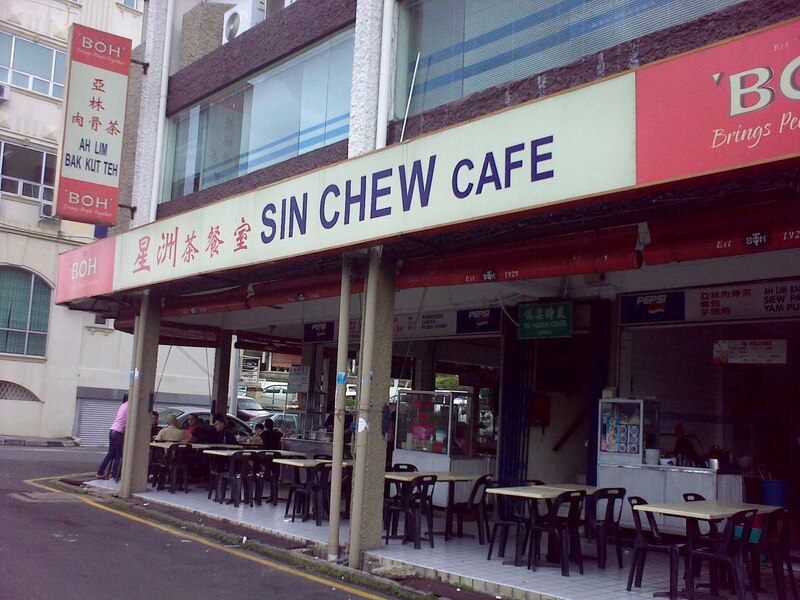 Their service ok ok lah... Just always delay nya la! 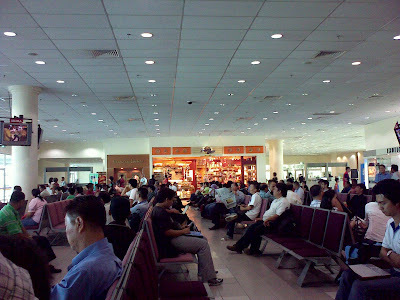 I remember the last time I went to Kuching it was 20 years ago. 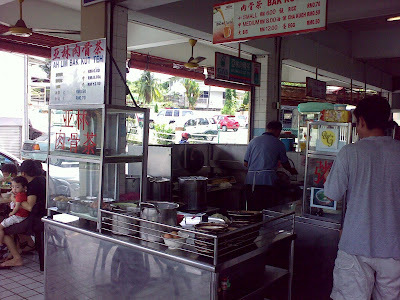 Now the Kuching has totally different sudah.. only the old town still remind some shadow lah! Me and Paul we stay at the TUNE hotel. 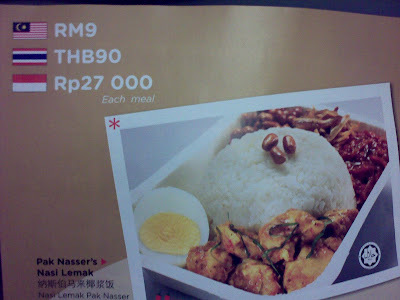 Is very cheap but a lot of thing you still have to pay! Like aircon, bath towel, hair dryer and Internet wifi. They don't have Room service, Tv, cabinet, shower gel. 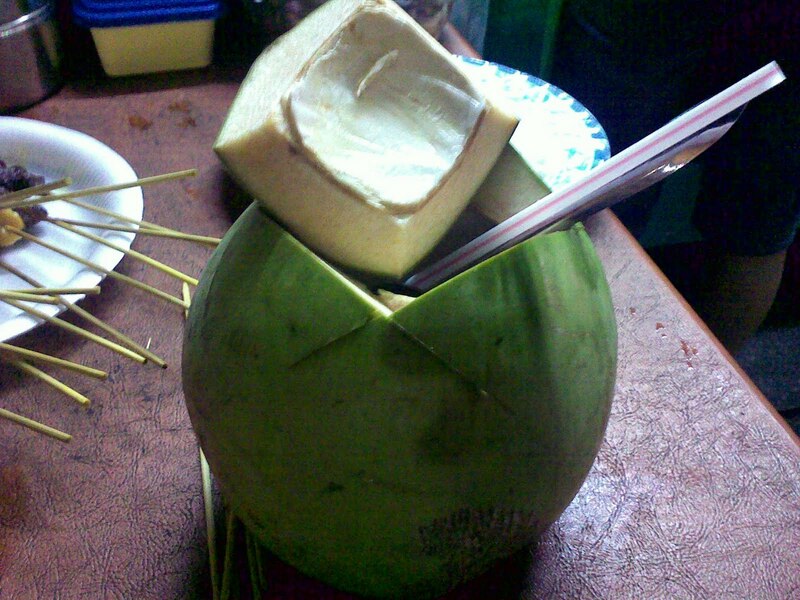 Is 100% suitable for the backpacker lah. Basically this trip is not so bad lah. every thing is fine there. 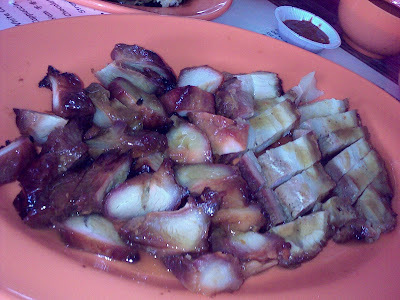 I had try a lot of food(mostly got pork one) and visit some places. 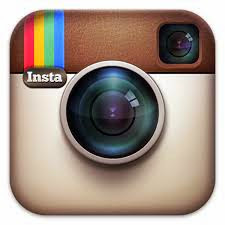 I'll post some more pictures and video clips soon! Before we had our flight, This is the thing goes inside our tummy 1st! 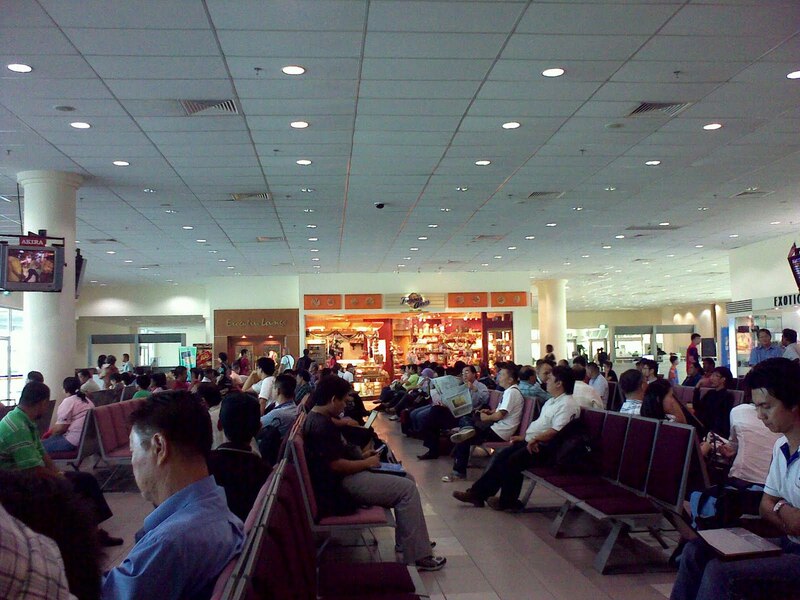 OMG..... full flight to Kuching! Damm Pack la! In fact I want to try one but six sense told me it couldn't be testy as I though one. 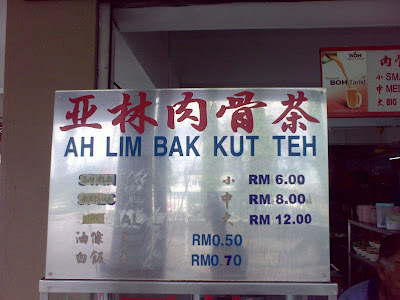 So no jadi lo! 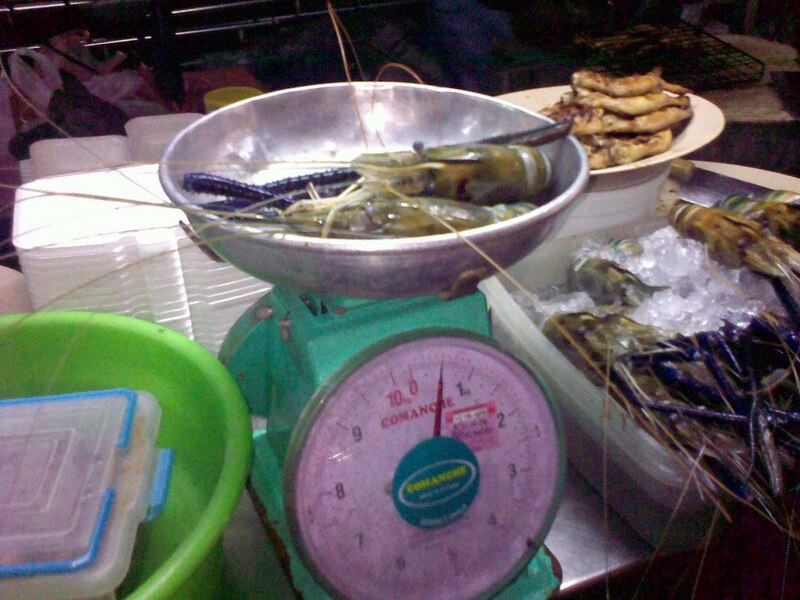 One we had landed. 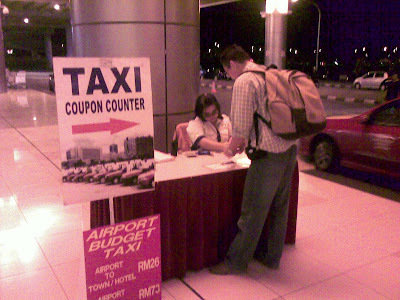 Just go out turn left and get the Taxi with coupon it cost us RM 25.00 to reach to our hotel. Ok...so this is the hotel we stay. In fact we both stay in the room together one. sekali we see the room it was too small so decide to take two room. The lobby look nice right? 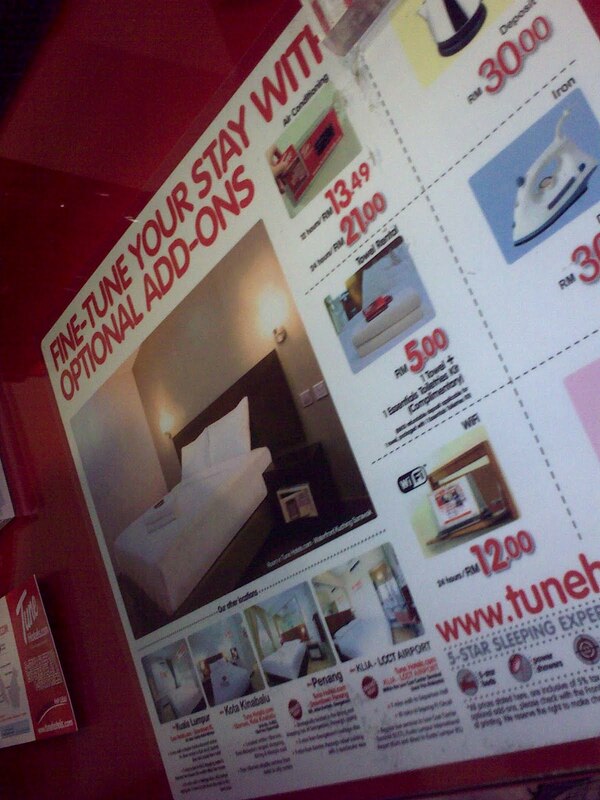 You can book your room by internet, It was more cheaper then walk in. Internet booking Buy one free one night one less then RM100.00. So this is my room look like lo! 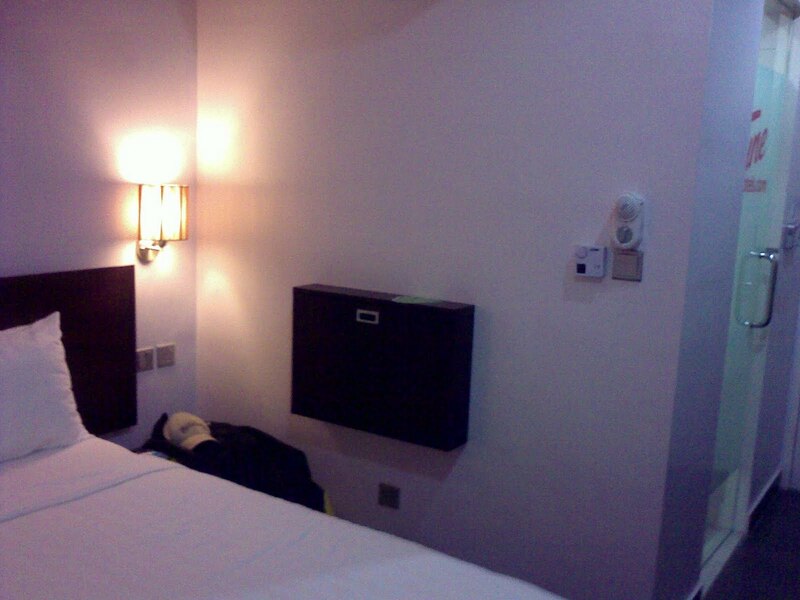 Smaller then my room in Brunei! 2 thumb up for the bed! 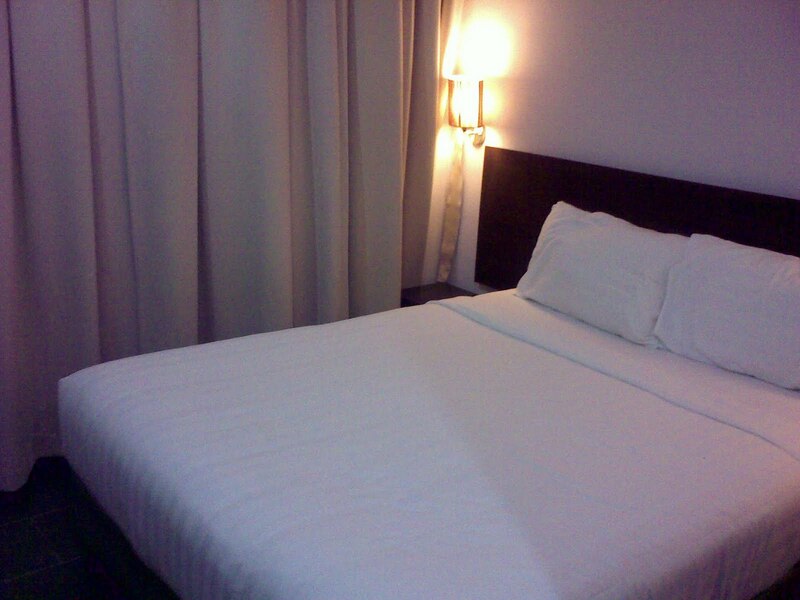 Almost like the Empire Hotel's bed. I say true true one! And the pillow also good too! 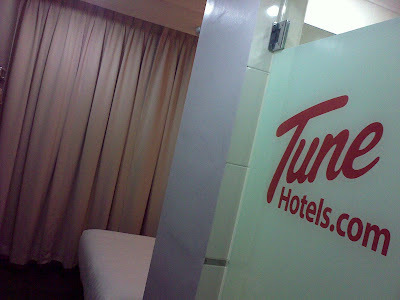 Click here to view my trip to Kuching and the Tune hotel's room!